The Brains is as good as you'll find anywhere here. Gets a bit over-jolly maybe, when there's an international on. The steak pies are outstandingly pie-like, and notably steaky though. Seven-out-of ten is respectfully awarded. 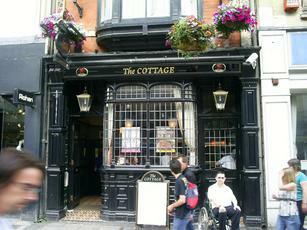 One of the better city centre pubs. Changeless, atmospheric and reliable. Like the previous poster it's been quite a few years since I'd visited. Very little has changed, a traditional pub that was a very welcome resting point after a 4.5 hour train journey. Full range of Brains beers, had the Dark - as good as ever. This pub was visited at Christmas - my previous visit would have been in the 1970s! I have to say very little has changed. More handpulls than then admittedly, but still that cosy wood-panelled interior. A pleasant surprise when so many pubs are changing (see the Yard, for example). OK pub, not very busy on my visit. Looks quite old and is very comfortable. Looked like they had the full range of brains beers.